Hamburgers are quintessential quarter-pound slices of Americana. They’re delicious whether slathered in cheese, bunned or un-bunned, and topped with virtually any fixing you can think of. We may not all agree on how best to serve a burger, but it’s safe to say that the popularity of these juicy bits of heaven stretches way beyond backyard barbecues. When researching where the popular food got its start, the origins are a bit unclear. Legend has it that the influx of German immigrants to America in the late 1800s sparked the birth of German beer gardens and food. And with that came with “Hamburg-style” chopped steak. The rest is, well, history. Fast-forward to modern times. And by modern we mean just this month. Travel giant, and our partner, TripAdvisor recently announced the Top 10 Best Restaurants for Burgers. This list of hits was based on millions of reviews and opinions from TripAdvisor diners. The people spoke and TripAdvisor listened. And although we didn’t get to travel across the country and try every burger joint ourselves (which, to us, is an amazing idea), we did notice that a SinglePlatform customer made the shortlist. All of our customers are kitchen rockstars. And it’s pretty cool that Brooks Gourmet Burgers & Dogs was honored in such an exclusive list of the best of the best burgers. So, we want to showcase what makes the restaurant great. Brooks Gourmet Burgers & Dogs keeps it all in the family. Todd Brooks and his wife own the 3 location Naples chain. The couple collectively has over 40 years of restaurant industry experience, which inspired them to open up their own establishment in 2010. Todd is no stranger to the hustle and bustle of the back of the house. He started off as a dishwasher and worked his way up, becoming an executive chef, and eventually a Vice President of a 10 unit restaurant operation. Although becoming a small business owner proved to be entirely different than serving as a VP, after the economic crash, Todd decided to dive head first into a burger joint of his own. Luckily, over the past 8 years Brooks Burgers has enjoyed much success and a few impressive accolades. The first location is housed in the same spot that was formerly Lindburgers, a Naples staple for over 25 years. It was formerly known for having the best burger in the state, so Todd thought the location was the perfect fit for his new venture. When launching Brooks Burgers, he added a sense of Midwestern hospitality to the mix and a unique aviation theme to the atmosphere. He also introduced a plethora of specialty burgers to the menu. 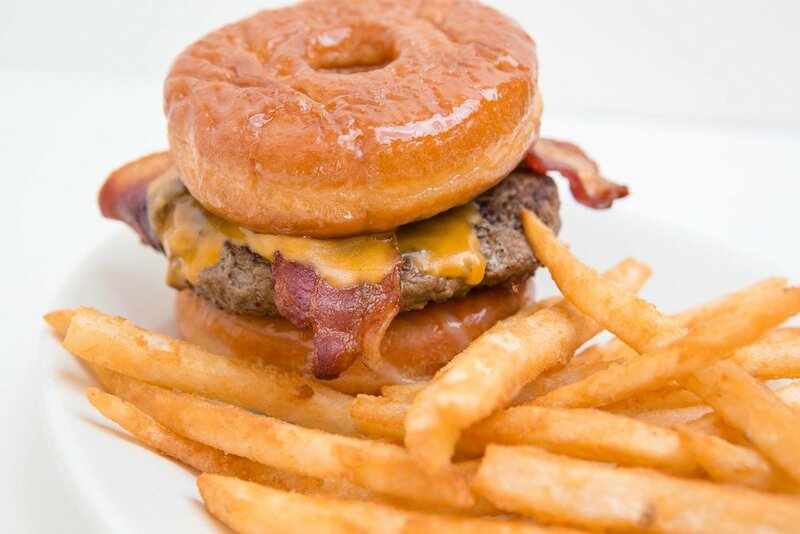 The Donut Burger is a signature item, but there’s a lot more where that came from. Guests can enjoy virtually any flavor they want, from the Pesto & Goat Cheese to a fan favorite, Todd’s Way (fried egg, crisp bacon, American & provolone cheeses). And burgers aren’t the only thing you can get here – Brooks Gourmet offers an array of salads, hot dogs, and sandwiches. And although they won the award for the burgers, TripAdvisor customers praise Brooks Burgers for their other offerings, too. Since opening in 2010, Brooks Gourmet Burgers & Dogs has expanded to become a chain of 3 locations throughout Naples, Florida. Each location exudes the same authenticity, freshness, and quality. Brooks Burgers uses SinglePlatform to power their online menus for all locations. -Todd Brooks – owner and founder of Brooks Burgers (visit them at brooksburgers.com). Although Naples, Florida, isn’t in the vicinity of our NYC office, it’s definitely on our list of places to visit next time we travel out of state! Congratulations to Brooks Burgers and the rest of the honorees who made the list!